Thank you for visiting another one of Eurosports's online listings! 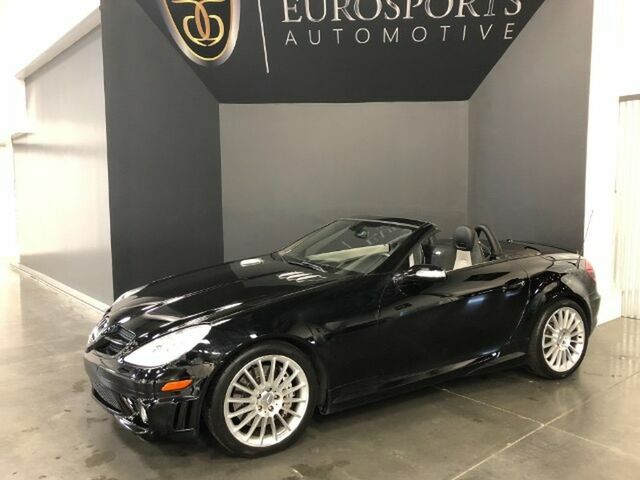 Please continue for more information on this 2007 Mercedes-Benz SLK-Class 5.5L AMG with 51,115mi. This vehicle is loaded with great features, plus it comes with the CARFAX BuyBack Guarantee. The Mercedes-Benz SLK-Class 5.5L AMG is a well-built, yet compact and enjoyable ride that is unmatched by any other convertible on the road. With the ability to easily switch between having the top up or down, you'll be able to go about your weekday routine without feeling like you've sacrificed the weekend thrills. Quality and prestige abound with this Mercedes-Benz SLK-Class. This low mileage Mercedes-Benz SLK-Class has barely been touched. It's the next best thing to buying new. More information about the 2007 Mercedes-Benz SLK-Class: With a secure, power retractable hardtop, the 2007 Mercedes-Benz SLK-Class roadster offers more refinement and civility than budget-priced roadsters like the Mazda Miata and Pontiac Solstice, and provides a luxurious interior and performance similar to that of the larger SL-Class. It also ranks as one of the safest convertibles, with head-protective side air bags. Interesting features of this model are Convenient retractable hardtop, refinement and lack of interior noise, safety, and performance.